Digital Revolutions is proud to present Clean and Green, a free wordpress theme. 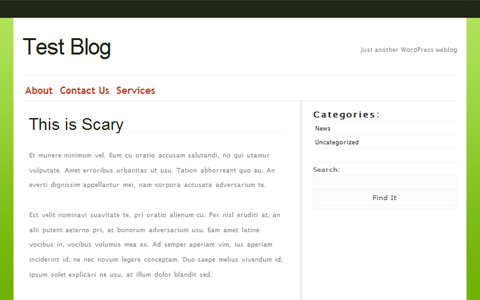 As the name suggests, the theme has a clean, minimalistic style without sacrificing color. 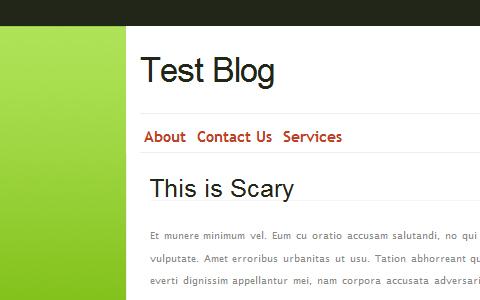 Tested on WordPress version 2.6.2, this theme is incredibly simple. Download today and try it out, feel free to modify the theme to your liking, just avoid redistributing my work without crediting Digital Revolutions (www.digitalrevolutions.biz). Please let me know what you think of the theme and any bugs you experience while using it. I’ll be happy to help you out where I can. 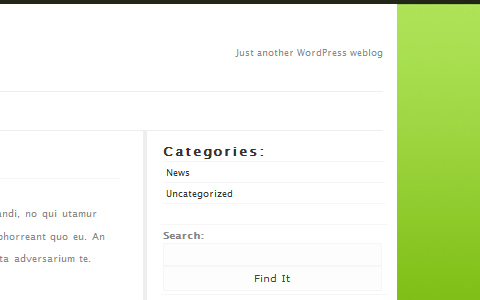 Interesting theme, clean and stylish. Thanks, I like it.